SunMaxx Solar joined members of the Cornell Community to celebrate progress on the Cornell Climate Action Plan including a new Solar Hot Water System recently installed on the new Combined Heat and Power Plant. The team from SunMaxx Solar joined University President Skorton, state officials, environmental leaders and media at Cornell University on Friday, Jan. 15 to celebrate progress on Cornell’s Climate Action Plan (CAP). 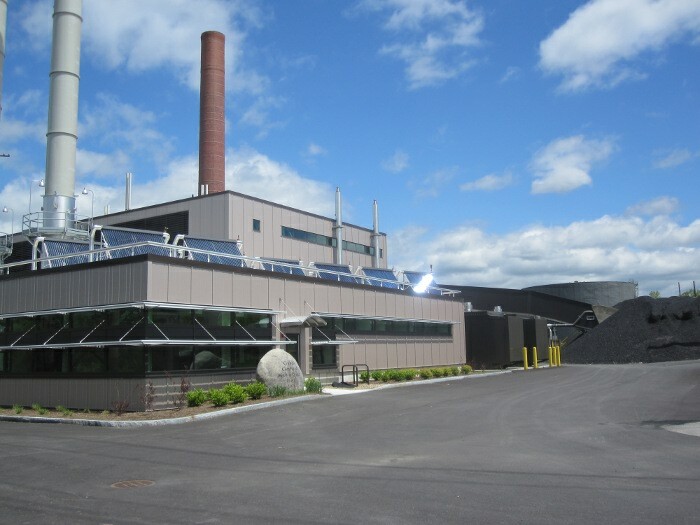 The new Combined Heat and Power Project utilizes a SunMaxx Evacuated Tube Solar Thermal system to heat the facility. These projects are part of Cornell University’s aggressive efforts towards moving beyond coal. A SunMaxx Evacuated Tube combisystem consisting of 15 SunMaxx-30s ties into the radiant floor and domestic hot water of the facility. SunMaxx-30 Solar Collectors are primarily designed for larger commercial and municipal domestic hot water systems, as well solar radiant and space heating systems. In 2007, President David Skorton signed a letter of intent pledging his support for the American College & University Presidents Climate Commitment. The commitment requires that Cornell develop a Climate Action Plan to guide the university toward zero-carbon emissions. Cornell’s new Combined Heat and Power Project will immediately reduce coal consumption by 80 percent and provides the majority of the campus’s need for heat and electricity. SunMaxx Solar is very excited to help Cornell University, a leader in sustainability, achieve its goal of moving beyond coal.